Minute7 is a QuickBooks-certified timesheet & expense tracking tool for employees, vendors & contractors, with native mobile apps for expense submission on-the-go. Accessible from any modern web browser, Minute7 is a complete web-based timesheet and expense tracking solution. Software by Hat Trick Media, Inc.
Great way to keep track of hours at work without worrying. The benefits that I get from this product is the benefit of receiving a full paycheck with the right hours. Since we fill out time sheets, it can get tricky when you work hard hours or quarter of a hour on some days, but Minute 7 makes it easy to figure out your overall amount of hours worked. This is essential to a studio trying to stay on budget.I enjoy how easy it is to enter time and the ease of the interface. It is very user friendly and easy to understand which is very helpful after a long day of working in other robust software programs. I also enjoy the timer function which makes the guess work and/or counting of how many hours I work that day not needed. I enjoy how easy it is to enter time and the ease of the interface. It is very user friendly and easy to understand which is very helpful after a long day of working in other robust software programs. I also enjoy the timer function which makes the guess work and/or counting of how many hours I work that day not needed. I've been using the web app for a few years and it has really worked well for my business. The syncing functionality with QuickBooks is great. I use it with QuickBooks on the desktop and it flawlessly syncs time records to QuickBooks while also syncing the clients and items list from QuickBooks to the web app. The app used to set up and sync to QuickBooks wasn't as user friendly as it could have been. Also tried the mobile app and stopped using it as it wasn't working well. The web app does everything I need so I only deducted one star for the mobile app. I enter time, and edit all employees entries. I sync to Quickbooks. The ability to run payroll as well as invoice clients.Both the website and app are simple for the employees to use. Easy to set up jobs. Decent character length for job names. Both the website and app are simple for the employees to use. Easy to set up jobs. Decent character length for job names. The top part of the screen does not freeze. It is hard to edit since it is hard to follow down to different days since the screen continues to move. When selecting jobs to write a report, why can I not select a group of jobs instead of one by one. Excellent cloud access to time tracking with integration to legacy QB users. Peace of mind that time is being captured by my team. Reporting features allow me to monitor my team.Cloud access. I enjoy the ability to capture time from my desk or in the field. The integration with Qbooks makes billing a breeze. Cloud access. I enjoy the ability to capture time from my desk or in the field. The integration with Qbooks makes billing a breeze. Mobile interface. A fully fledged iOS or Android apps should be made for easy entry in the field. Currently the iOS app is really just a scrape of the web interface. Preparing reports to back up invoices is the greatest benefitThe ease by which we can enter daily time without the hassle. The daily reminder is a welcome substitute to a call or email from accounts receivable! The ease by which we can enter daily time without the hassle. The daily reminder is a welcome substitute to a call or email from accounts receivable! A 30-day free trial is available, after which Minute7 costs $4/user/month. Track employee & contractor expenses in Minute7 and then import them to QuickBooks for reimbursement or invoicing. View summaries and reports of all the time entered by employees and vendors, and export the data to Excel. Sync Minute7 with both the desktop and online versions of QuickBooks to invoice clients efficiently. Enter time on-the-go by accessing timesheets online and from mobile devices. Below are some frequently asked questions for Minute7. Q. What type of pricing plans does Minute7 offer? Q. 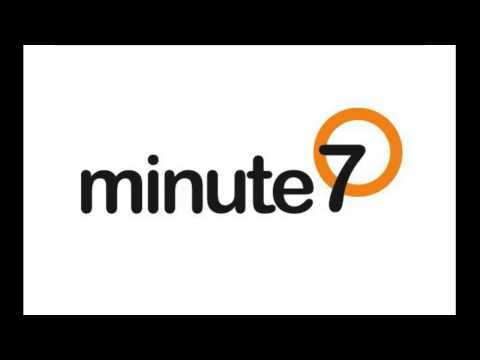 Who are the typical users of Minute7? Q. What languages does Minute7 support? Q. Does Minute7 support mobile devices? Q. Does Minute7 offer an API? No, Minute7 does not have an API available. Q. What other apps does Minute7 integrate with? Q. What level of support does Minute7 offer?